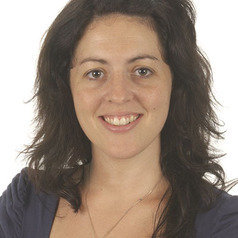 Dr Melina Georgousakis is a medical research scientist who joined NCIRS in 2010. Her research background is in the area of infectious disease and mucosal vaccine development. She completed her PhD at the Queensland Institute of Medical Research, studying the bacterium group A streptococcus. She has published multiple papers in this field. Melina is interested in applying her knowledge and experience in vaccine design to public health research. She is especially interested in the hurdles associated with communicable disease and vaccination in developing countries. Melina is passionate about engaging the public in health and medical science. Melina recently completed her Masters of Public Health from The University of Sydney.